Singing a bride down the aisle! I am a vocalist who has vast experience in providing stirring performances for decades! With or without music, I possess the demonstrated ability to move and inspire an audience. I usually sing with performance tracks and have my own sound equipment and technician (if needed). I also use a keyboardist when requested, but have found that the full instrumentation of a track is preferable to clients in producing the experience they desire. But my goal is to satisfy every client so I am willing to meet any request, including learning your special song(s)! Quality service is my motto! First, I give Valerie beyond a 10+ rating. I hired her to sing at our daughter's wedding in June. She sang the Lord's Prayer acapella in our church for a crowd of 300. Well, all I can say is that she knocked it out of the park. I saw the minister close his eyes during her performance and wipe his eyes with a handkerchief as she finished. Her voice filled and projected throughout the church and embraced each person in attendance. I have been asked for a video of just her performance by friends. One said, "People from Atlanta would be willing to put her on a plane to come sing." 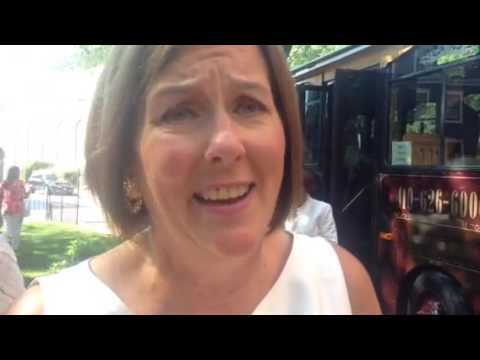 My daughter's Godmother kept saying, "Everything was beautiful, and that singer, that singer! Wow!" If you want a beautiful song sung at an event, I can not recommend Valerie more highly. Also, she was so kind and professional to work with along the way. Elizabeth R.
Thank you so much for sharing your satisfaction with my services. I am always humbled to be trusted with such a sacred time and recognize that I am providing more than a performance. It is good to know that I could offer some comfort and uplifting in your time of bereavement. May God continue to bless your family. Was very pleased with the performance, her professionalism and her kindness. Would definitely recommend her and use her services again! Valerie was great and very accommodating to the funeral program requests and last minute changes. Her singing was soothing for the occasion and she fit right in with the church’s choir. My family and I truly appreciate her services during this difficult time. Thanks so much! It was a honor to serve you! microphone , in my opinion. I am so grateful for Valerie’s Humble spirit and Passion to sing. I will Definitely call her again!!! This time with more notice! : ). Valerie is an Angel !!!!! It was a Blessing meeting her !!!!!! Valerie Is the Real Deal!!!! Valerie is truly a unique and powerful singer! Her voice, presence, and her spirit was absolutely breathtaking. Valerie made my vow renewal ceremony absolutely beautiful! I can still hear her singing in my heart! Thank you so very much for making such an important day absolutely memorable! I was searching for a gospel singer to perform at my dad’s 85th birthday celebration. I did not know where to start and found Valerie at GigSalad. Turns out I hit the jackpot! Valerie did an outstanding job charming the audience and selecting the right songs at the right time. Valerie has a wonderful voice and took each song to the limit. Everyone in the room truly enjoyed her performance. I found Valeria easy to work with, extremely talented, and highly professional. Valerie is the real thing and you cannot go wrong with choosing her talents. I was extremely happy working with Valerie’s and would certainly reach out to her for future events. Thank you so very much for your kind words! You did an amazing job honoring your father and it was my pleasure to play a part in making the day special. I would certainly welcome the opportunity to serve you again! Many blessings! This is the second time I used Valerie and she was wonderful both times. I received many compliments and my guest guests enjoyed her imeansely. Valerie Dawkins performed the national anthem and two gospel selections for our 2017 MLK event. She did a phenomenal job! Our auditorium was packed (standing room only) to catch a glimpse of her performance. Her sultry voice reminisce of some the great gospel legends such as Aretha, Yolanda, Mahalia and many others. Thanks so much for the kind words! To be referenced with some of the singers I admire is truly an honor. Thanks also for the performance shots! I hope to have the opportunity to lend my talents to future DSS events! Valerie sang two songs during my wedding ceremony. She sang an opening song and sang as I walked down the aisle. I received many compliments on her performance. Her performance helped to make a memorable ceremony. Her voice is beautiful and her professionalism is top-notch. Valerie was easy to work with and I highly recommend her for your special event. 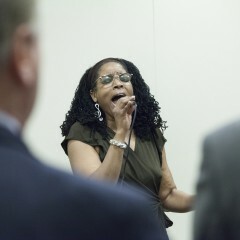 Ms. Dawkins sang beautifully during a celebration in honor of the late Dr. C. Delores Tucker. Her performance brought tears to some eyes. I know Dr. Tucker smiled down from heaven as she sang her favorite song "We shall Behold Him". It was unforgettable. Thank you Ms. Dawkins for adding your very special touch to our event. Valerie sang for my marriage ceremony on 9.2.2016, and she was absolutely amazing!! So many wonderful compliments and requests for referrals! She definitely made my marriage ceremony complete! She was amazing. She arrived on time and was ready to perform. Valerie's vocal style of traditional meets contemporary mingled easily with her graceful demeanor which truly made this event a celebration of life. We hired Valerie to sing a cappella the National Anthem after a presentation by the Color Guard for an international conference of museum professionals during the Memorial Day weekend. It was one of the most moving musical performances I have every experienced in my many decades of booking talent. I did not know Valerie before this performance but I would now recommend her to anyone--she is a testament to the transcendent power of music! Valerie has such a beautiful gospel voice and I would highly recommend her talents. Keep singing. Music is such an important part of our lives and we wanted it to be a very distinctive part of our wedding ceremony and reception. We were privileged to witness the beauty and authenticity of Valerie’s voice reach to the core of each of our guests and bring them together to celebrate the wonder of this distinct moment in time. Valerie is not only the best singer I've ever heard at a wedding, but one of the best live singers I've ever heard, period. She was easy to work with, super friendly and truly desired to make us happy. From the bottom of my heart, thank you Valerie for conveying the message that transformed our day into something truly magical. I couldn’t have possibly dreamed of anymore! I grew up hearing Sister Valerie's beautiful voice every Sunday at church and I was so blessed and honored to have her sing while I walked down the aisle on my wedding day! The song that she suggested was the perfect song for my wedding day. I am forever grateful for her love and I will always cherish the moment that I walked to meet my groom. Thank you Sis. Val, I love you to the moon and back! 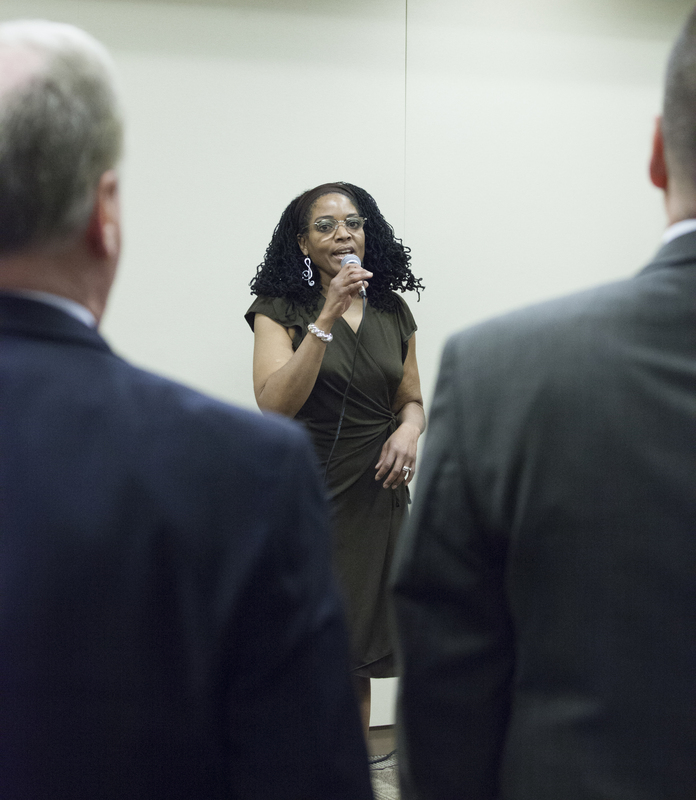 Valerie performed for our residents and staff and she absolutely blew us away with her vocal ability. She did a variety of songs that everyone enjoyed and was professional and personable in every respect. We had a blast and will definitely have Valerie back again soon!! Thank so much Adam! Seeing the joy I was able to bring to the residents of your facility, the pleasure was all mine! I certainly look forward to coming back to "party" with them! Valerie's voice is a true gift. She sang 3 pieces at my mothers funeral that were inspirational and exquisite. Guests commented on the beauty of the music. Thank you Valerie! Valerie was simply a pleasure to work with. She was extremely accommodating to our late request and even a couple of last minute changes the day before the service. As for her vocal performance, I cannot say enough great things about her voice - it served as a source of comfort for all who were in attendance. I highly recommend Valerie for any occasion. Valerie perfomed two selections for my birthday celebration this past Sunday, March 22, 2015 at the Kingsbury Center in Washington, DC; "I Won't Complain" & "Your Destiny". This beautiful lady sings under the anointing of God. She ministers her songs and is able to touch each person individually, specifically and then draws collectively. I am grateful I found her in my search and I highly recommend her services. 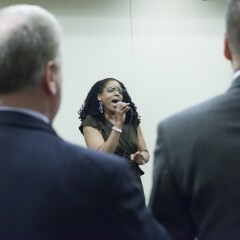 With a spirit-filled "clean" voice like this, my prayer is God strategically set a platform; the world needs to hear her. Thank you so much Valerie, we were truly blessed! We look forwarded to seeing you for future events. Wow, I am so humbled by your generous words!! It is truly an honor to use my gift to bless others. And I firmly believe that every connection made is purposeful and meaningful. So I receive that prayer! May God continue to bless you, and please do consider me for future events! Valarie performed two songs, Through the Storm and We Shall Be Hold Him, at my mother’s home going service on Saturday, December 20, 2014. 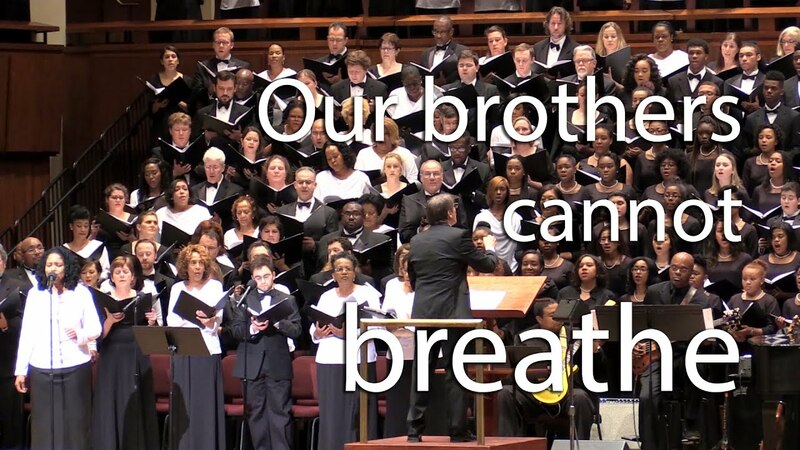 Both songs ministered to family and friends in a very special way. In addition to her strong vocals, she provided words of inspiration prior to each song that helped to uplift hearts and souls at a difficult time. I was very pleased with her performance and I will contact her again as needed. Valerie performed two gospel selections at my mother's 65th birthday celebration this past weekend in Newport News, Va. Her performance was absolutely incredible to say the least. In short, she "brought the house down". Valerie has an amazing voice and phenomenal stage presence. It was obvious from her performance that Valerie is truly anointed. Many in attendance were blessed by her performance as well and gave her compliments to this effect. Thank you so much Valerie for helping to make my mother's birthday celebration memorable. May God continue to bless you and Heaven smile upon you. Wow, I am humbled by your kind words! It was truly my pleasure to share in such a special occasion. Thanks so much, and many blessings to you and your family! 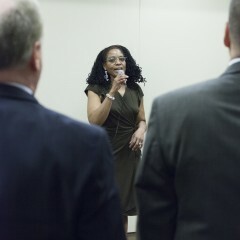 Ms. Dawkins certainly impressed everyone and we were very moved by her beautiful voice. We will definitely use her at the next function. I am going to personally tell her how much we thought of her performance because everything moved so fast, I did not get an opportunity to tell how appreciative we were and how in awe we were of her singing. I heard nothing but very good things about her and she moved them. She is annoited and it shows. 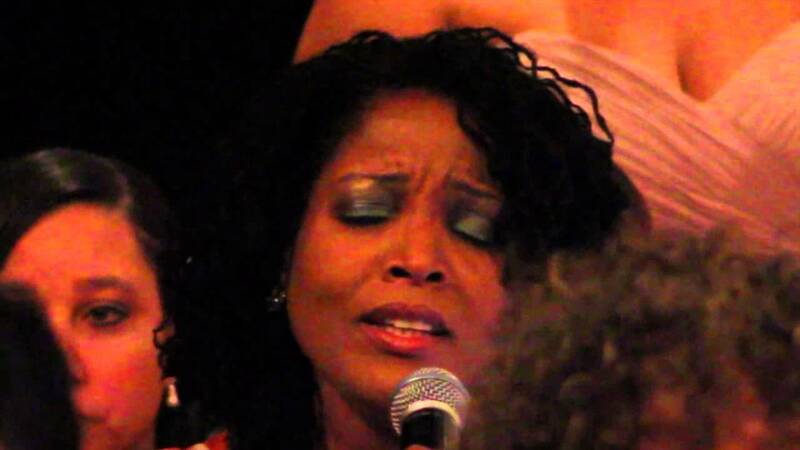 Valerie Dawkins ministered in song at the Gaylord National Resort on Saturday, July 6, 2013 at 6:00pm on my wedding day. I truly can say that her voice is anointed by GOD and I had tears running down my face when I heard her voice while waiting to walk down the aisle. She is extremely talented and when I heard her in person I was moved and speechless. During my wedding, I had several guests approach me and my husband to express how amazing Valerie's voice was as she sung all three songs during the wedding ceremony. 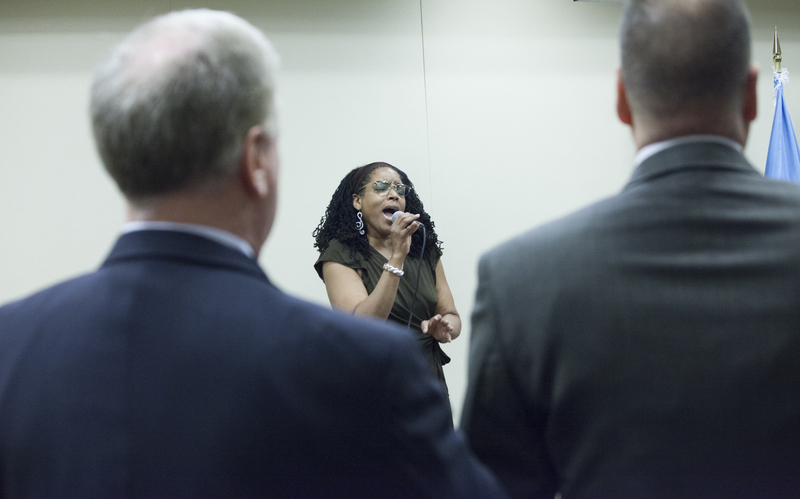 We had over 150 guests in attendance and they were amazed by her voice. Valerie is truly anointed, professional and very pleasant to work with during my special day. I sincerely thank you for adding a special touch to my big day by expressing everything I was feeling on that day. Valerie was terrific. Her performance was the icing on the cake. The audience, including my husband, loved her. She performed at the Awards Ceremony for my husband who is retiring after 30 years of dedicated service to the military. She was there ahead of time, set up and ready to go. I highly recommend her for any event. She is truly gifted when it comes to singing and is very people-oriented and very professional. I will definitely recommend her to anyone looking for a talented and gifted singer. Valerie sang in the church ceremony at my wedding. She was very professional and her voice is simply divine. Brought people to tears and wanting more. Best choice by far!! I can not count the times that the gift Valerie has been blessed with has lifted me, encouraged me, soothed my soul, refreshed my spirit. She has a powerful instrument that she welds with expertise. She carries the anointing that breaks yokes. Gave an awesome performance....I highly recommend Valerie. Valerie Dawkins was amazing at my conference on September 21st 2013!! She was professional, poised, skilled and most importantly anointed by God. Throughout the planning stages, she kept in constant contact and was on time and ready for sound check. I would highly recommend her to anyone who wants anointed music at their event!! Valerie performed for approximately 159 Women "Circle of Friendships United" 2013 3rd Annual Dinner Program. I came upon her at this site and it was the one of the best things that I could have ever done. Wow, thanks so much for your kind words Sis. Judy. As I told all that evening, I was equally blessed to share in the celebration of the enduring bond of friendship among women! And yes, having been blessed with a gift for which I can take no credit, it is my honor to give back in service to others. See you ladies next year! I am sooooo grateful to Valerie for taking her time to perform for my girlfriend and I on Valentines day. She was very professional and everything happened better than I imagined and asked. Her rendition of Always & Forever by Luther Vandross was very warm and heart felt. I am thankful for her dedication to professionalism regardless of the event being for a huge audience or just 2 people in love. Thanks Chris, for the chance to share in what I hope was a magical evening for you and Monique. Whetehr 2 or 2000, it is always my goal to give my very best, and to treat every performance as if it were my own. I am glad that you were satisfied with my services and pray that you two will continue to make beautiful music together! The singing performed by Valerie during my Aunt's funeral was outstanding! She moved me and everyone in attendance. I highly recommend Valerie, her voice and ministry is phenominal and she was extremely pleasant to work with. She made me feel like she was as dear friend. I will definitely book her again! Thank you so much Kisha for your kind words. It was truly an honor to be trusted with serving your family during such a personal time. If I can ever do anything for you in the future, please don't hesitate to call. When she sings…people stop what they are doing to listen. When she sings…people get goose bumps. When she sings…people are moved to tears. When she sings…people want more! The powerful vocals of Valerie Dawkins have been known to captivate and inspire audiences across the country. 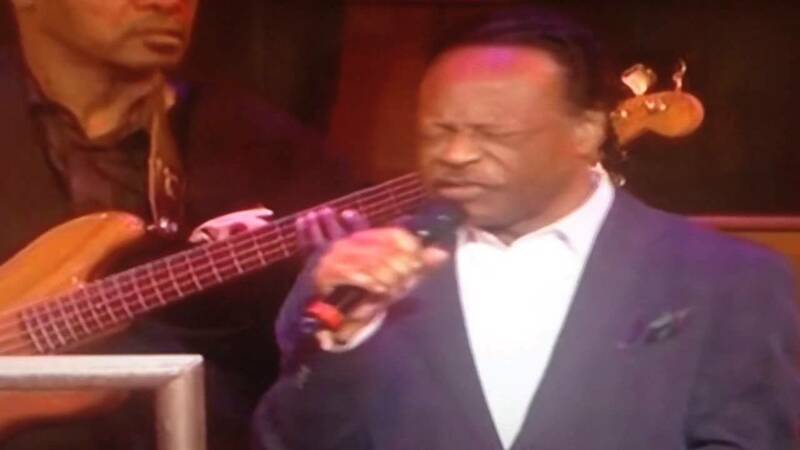 For more than 3 decades, this anointed SINGER-SONGWRITER has performed at various church events, weddings, corporate events, and a host of other occasions. In fact, from the department store to the local beauty salon, there is hardly any environment in which Valerie has been that she hasn't been asked to sing! Her voice has been said to contain "a certain magic", possessing the ability to move the spirit and soothe the soul. Her versatility is evident in her ability to effectively use her instrument in many music genres. But whether gospel, R & B, or pop, Valerie recognizes that she is accountable to the "Giver" of the gift in its use. The rich, sultry tones in her voice are reminiscent of such powerhouse vocalists as Aretha Franklin, Mahalia Jackson, and Whitney Houston, to name a few. It has been said that she must have a "microphone in her throat"! While in college, she gave a full concert accompanied by a live band. She has worked as a session vocalist for various recording projects. Valerie has appeared as a guest soloist on a Singles' Cruise where Gospel artist Smokie Norful was the featured artist. She also lent her talents to the 2008 Annual Foster Youth Benefit Concert hosted by W.H.A.L.E.R. 's Creation at the Hard Rock Cafe (DC). Recently, Valerie was selected as one of ten finalists to compete in the Budweiser Superfest Opening Act Contest, and came in 2nd place. She is currently the Worship Leader at the Spirit of Elijah Kingdom Church in Fort Washington, MD, where she has been privileged to serve in this capacity since the church's inception in 1990. In addition to being an accomplished singer, Ms. Dawkins has written many songs – for praise and worship, for weddings, and even songs in celebration of the transition to eternity. Her creative talents have also been expressed through original poetry, the narration of dance recitals, playwriting, and even a Christian comedy stand-up routine! 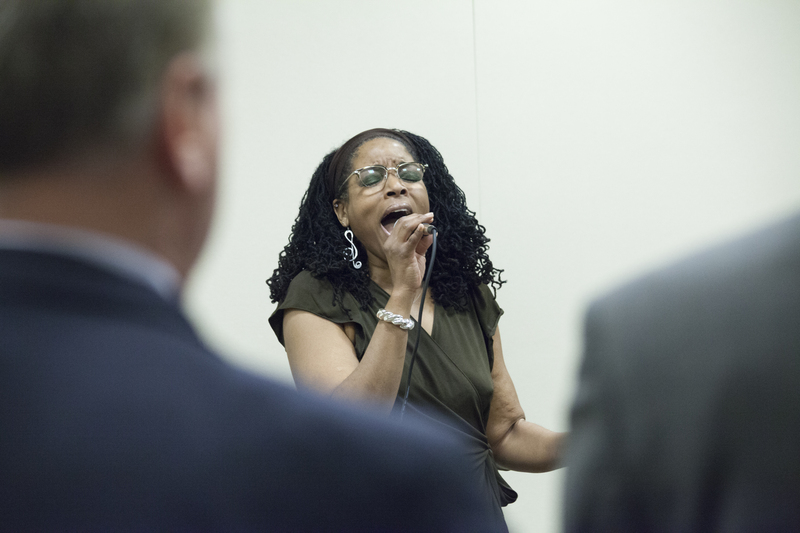 Be it with live music, accompaniment tracks or a capella, Valerie Dawkins is sure to deliver the goods. Due to a technical malfunction at one wedding venue, Valerie had to sing with no music. When it was all over, the satisfied couple ended up giving her the biggest tip she'd ever received. Truly, it's the anointing that makes the difference! Valerie is working towards recording her first solo project in the coming year. Possessing the right mix of pure, raw talent and a wealth of experience, Valerie Dawkins is sure to make your event special and memorable. Book her today and find out for yourself what happens...when she sings! My umbrella company is Dawkins Communications, LLC and we are insured. I have my own sound equipment, which includes two cordless mics. I take pride in my sound so my sound technician is always on hand to ensure the best quality possible. If there is a need for MC services or a DJ, Dawkins Communication, LLC can meet those needs as well! Work samples provded upon request. This is by no means an exhaustive list. Besides, clients are continually adding to it as I learn their requests! I require an adequate sound sytem (with the means to play CDs or an ipod) or the space to set one up. This can be discussed on a case by case basis.